Head to your local dollar store to rack up on some affordable home décor to kick off the fall season. You can find easy-to-hang fall reefs, plastic pumpkins, cute napkins, candles and much, much more! Plus, Dollar Tree is easily one of the most affordable places to shop and get your fall spirit on. In fact, now’s the perfect time to prepare your backyard for bonfires and smores. For easy and affordable tips on how to build your very own fire pit, click here. Head over to a local pumpkin patch and enjoy the colorful view! Grab the biggest pumpkin that you can find and kick back and relax with an easy-going hayride. 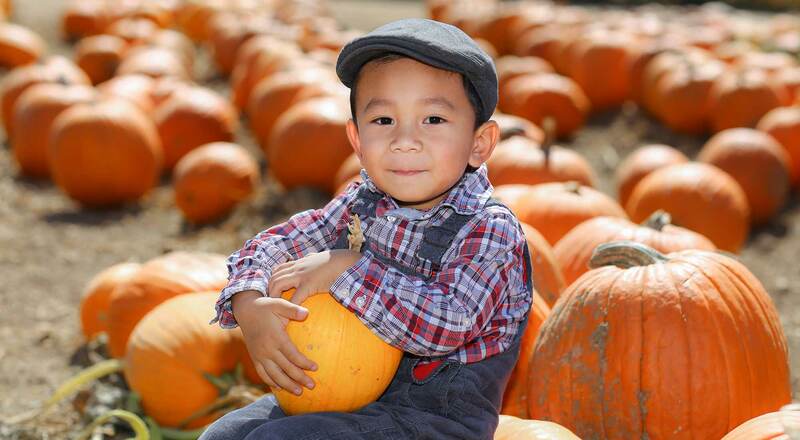 Some pumpkin patches have petting zoos for the little ones (and all animal lovers) to enjoy. Ready to go? House Beautiful magazine says these are the best pumpkin patches in every state. Fall festivals are very common when the pumpkin season comes around. Looking for a fall festival near you? Try this list from The Travel Channel. Calling all fashionistas – Ready, set, sew! If you love Halloween, then go to your nearest crafts store and start shopping for the material to make your own costume this year. This is a great way to get creative and save money on buying an extravagant costume from the Halloween store. Instead, get your needles and thread ready and sew yourself an amazing outfit! For some inspiration on how to DIY your costume, go here. Find a local apple farm and bring the biggest baskets you have. Picking fresh apples is not only entertaining, it’s delicious. Spend the day at an apple farm having fun in the sun with friends and family and come home to bake a home-made apple pie. This is inexpensive, tasty and a great way to spend time outside this fall. Reader’s Digest has a list of where to pick apples in every state, even Alaska and Hawaii. It’s football season! Scout out a local football game, grab a hot dog and find a seat in the stands! This is a low-cost activity for all sports lovers to enjoy. Plus, even if you don’t feel like going out to a game, you can always save money on gas, sit at home and watch the game from the comfort of your couch. According to Fox Sports, these are the 20 college football stadiums you must see in your lifetime. If you’re a coffee lover (who happens to also love pumpkin spice lattes) then make a visit to your local Starbucks to grab a fresh cup of joe. And if you’re a Dunkin’ Donuts fan, then head over for your favorite fall delight. Meet up with friends, sit outside and enjoy the fall weather. Tired of chain coffee? Here are the best coffee shops in every state, according to Food and Wine magazine. Ready to get started on your fall adventure? If you’re planning on doing something much bigger than local fall festivities but not quite financially ready and don’t want to empty your emergency cash stash, a LendingPoint loan may be a great option.